Man Is So Engrossed In His Phone, He Doesn't Notice A Robbery Around Him. The engaging in mobile phone has become a great addiction that is not so good for human. It has made us all (children and adults) into gamblers, sitting in our bedrooms just like slots players sit in windowless casinos, forgetting the time of day, addicted to the next spin and	Read more: Man Is So Engrossed In His Phone, He Doesn't Notice A Robbery Around Him. 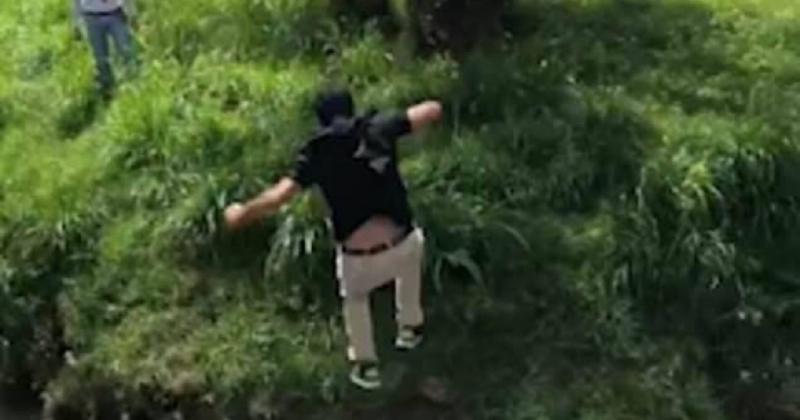 Confident Golfer Jumps Over A Creek But Fails To Land. You should do that that you can but you should not do more that are not sure to you. A poor golfer tries to take a running jump over a narrow stream but fails for a little bit. The golfer actually wanted to recover his ball that fall on the	Read more: Confident Golfer Jumps Over A Creek But Fails To Land. 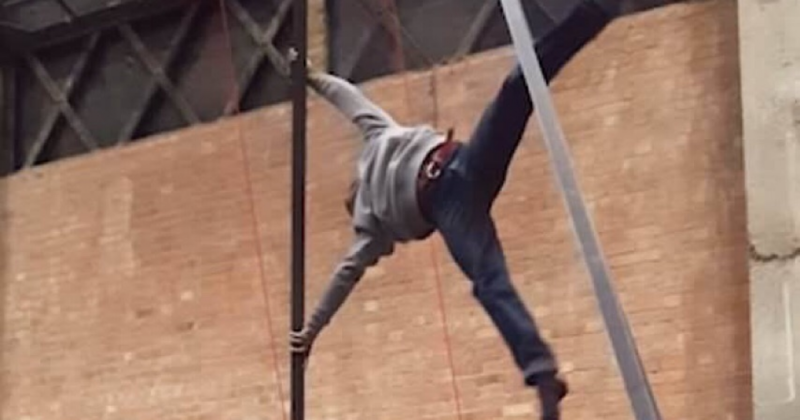 Daredevil Climbs A Pole With Just His Hands In Amazing Video. There are many superhuman around us who can show their super power. But, there are some who have gained their skill just practicing for long. A man is able to climb to the top of a pole by quickly kicking his legs in the air. Here in this video you can	Read more: Daredevil Climbs A Pole With Just His Hands In Amazing Video. Cute Toddler Tries To Get Milk From Bras On Sale In Walmart. A 14 months old adorable toddler may have been hungry when she goes for with her mother in Walmart. She started trying to nurse from bras that were hanging in the lingerie section of the store. The little girl might think it is the b**bs of woman. The name of this	Read more: Cute Toddler Tries To Get Milk From Bras On Sale In Walmart. Pretty Girl Loses It From Close Encounter With A Harmless Manatee. Manatees are gentle and slow-moving animals. Most of their time is spent eating, resting and traveling. Manatee are mostly herbivorous and they eat aquatic plants and can consume floating, emergent and submerged vegetation from freshwater, brackish, and saltwater environments. Generally you can see these sea cows just chilling around calm waters,	Read more: Pretty Girl Loses It From Close Encounter With A Harmless Manatee. Two Beetles Are Busy Having A 'Boxing Match' For Taking Part In WWF Competition. A Group Of Fearless Skydivers Plummet Head First Towards The Ground During Epic Mid-air Trick-shot. 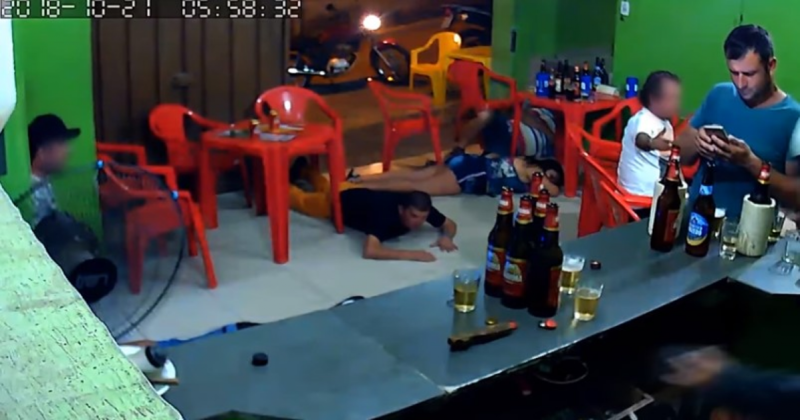 Hero Crab Jumps Out Of Frying Pan And Turns Off Cooker To Save His Pals.